The Division of Global Engagement is looking for motivated, responsible, and enthusiastic individuals to serve as Global Leaders during Global Start, the international student orientation. 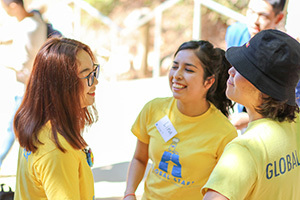 Job applications are open Jan. 7 through Feb. 1, 2019 on careercenter.ucsc.edu. 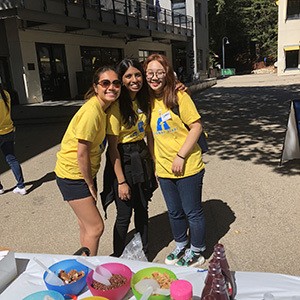 The selected applicants will attend training throughout the spring quarter to develop intercultural communication competency and leadership skills, which will be put to use in September when new international students arrive on campus. Work is part-time in spring during training and full-time in September throughout the Global Start program. For Global Start, Global Leaders will be broken into ten teams, with four to five leaders per team. Teams will work under the direction of two captains and ISSS or Global Engagement staff. Each team will be assigned specific tasks for which they will be responsible for during orientation week. 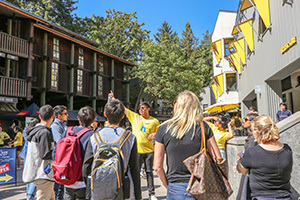 Job duties include a wide range of activities, such as assisting with residence hall move-in, leading community building activities, leading campus tours, and leading excursions off-campus. Sept. 10: On-campus Global Leaders move-in, 9–5 p.m.
Sept. 11: All-day training 9–5 p.m.
Sept. 12: All-day training 9–5 p.m.
Sept. 13: All-day training 9–5 p.m.
Sept. 14: All-day training 9–5 PM p.m.
Sept. 15: Half-day training 10–2 p.m. Hours of work during this time will vary, but you can anticipate working 8-hour days from Sept. 16 to Sept. 20. Some Global Leader teams will be required to work shortened hours on Sept. 21, Sept. 23, and Sept. 25. Apply today to ER#8351 through the Career Center.